Until last year, I had never even considered buying beef shanks, let alone how to cook them. 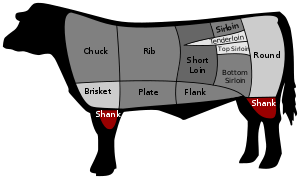 As a rather inexpensive cut of meat, they deliver TONS of flavor, but require a long, slow cooking method, like braising. Mae Farm and Farmhand Foods both offer excellent quality beef and this dish uses them to their maximum potential. One of the lovely aspects of braising is that you can make dinner while you watch a football game. I find that pretty fabulous. I found a promising recipe on epicurious, reduced the amount of meat, upped the level of vegetables in the ragu and reduced the overall liquids to make a thicker sauce for pasta and polenta. It is AMAZING. Not only did the final product taste delicious and tender, but my entire house smelled like I had Super Chef visiting. Yum, yum and YUM. I could actually eat this out of a bowl by itself. And, I have to admit, I have eaten it by itself. Still. Awesome. Add onions, garlic, carrots, mushrooms and greens to the pot and saute until brown and tender, about 10 minutes. Happy New Year from SOLE Food Kitchen! One of the true miracles of nature here in North Carolina is that even when there is frost on the ground (and even snow), we still have delicious and highly nutritious greens–collards, mustard, turnip, kale to sustain us. While we haven’t seen any snow yet, the greens are plentiful in our garden and at the local farmers markets, and they will be the stars of our New Years Day feast! 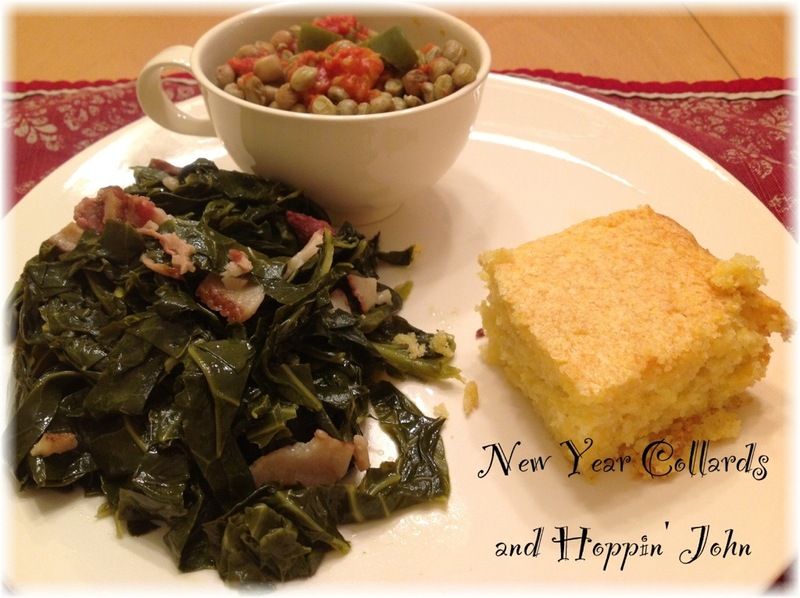 It is customary here in the southeastern US to eat a combination of blackeye peas and rice (hoppin’ john) and greens to bring about prosperity for the new year. The field peas represent coins and the greens represent folding money for the New Year. I don’t know if it works, but I can say it is a delicious way to begin a fresh year with lots of possibilities. Add some homemade corn bread and you have a simple meal that is delicious, satisfying and reasonably healthy. I add tomato and roasted jalapeno to my blackeye peas. While these aren’t seasonal, we have both tucked away in our freezer from our summer crop, so we can still enjoy them in the middle of winter! Still, the typical version of hoppin’ john uses a ham hock to season the beans. This is tasty, but I usually feel like we’re getting our share of pork in the greens, so we go light on the beans! I am partial to making my greens with pork–in our case, jowl bacon–from Mae Farm in Louisburg, North Carolina (www.maefarmmeats.com). Their pasture-raised, humanely raised hogs produce some of the most amazing meat we have ever had. We’re hooked. But you can also make these as a vegan dish by replacing the bacon with olive oil and some garlic. Cooking greens is not hard–it takes time because the leaves are quite thick, but the investment of time is well worth it in the end! Begin the process by washing your greens. Unless you bought them from the grocery in a pre-washed bag, they need to be cleaned or you will be eating grit along with your greens (this is not good eating). 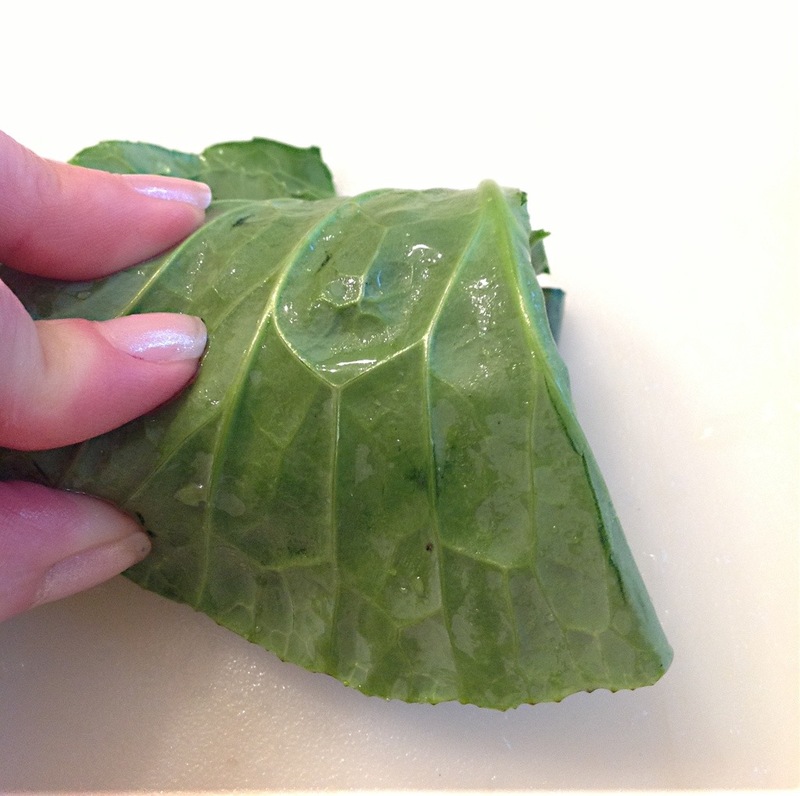 Fill a clean sink with cold water and soak the greens in the water, swishing them around a bit. Remove greens from the cold bath and drain the water. Do this two more times or until you see no sand in the sink. 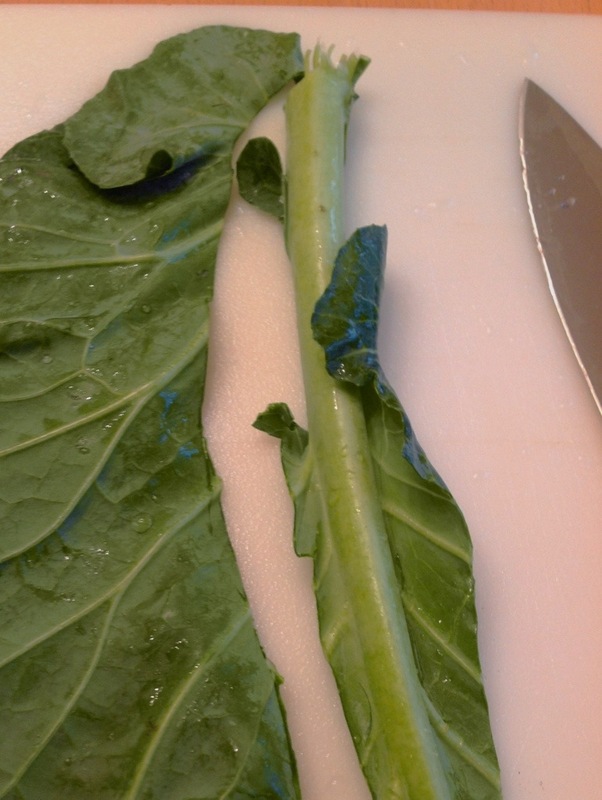 On a cutting board, fold each leaf in half and cut the thick stem out. Save stems for compost. Stack the collard leaves as you go until you have stemmed all the leaves. Take 2-3 leaves at a time and roll them into a thick roll. 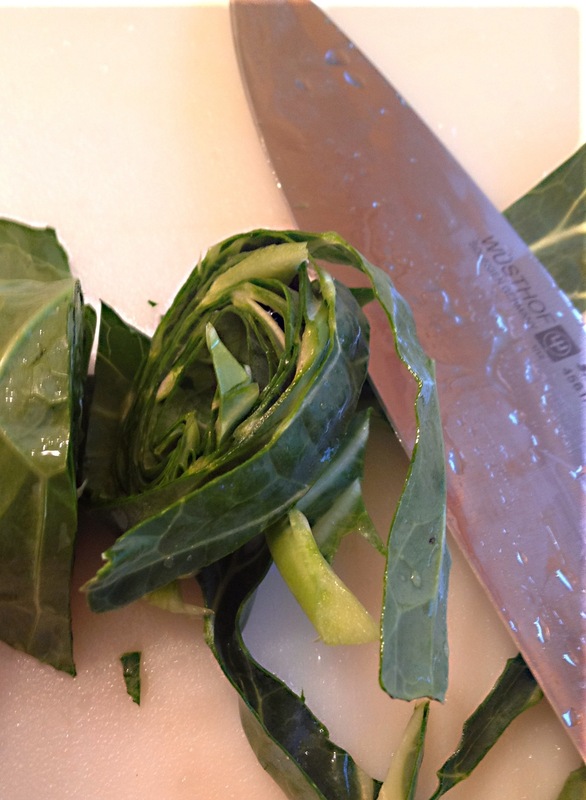 Cut the roll into thin strips (this will leave you with ribbons of greens). Set greens aside. Heat a large stock pot over medium heat. 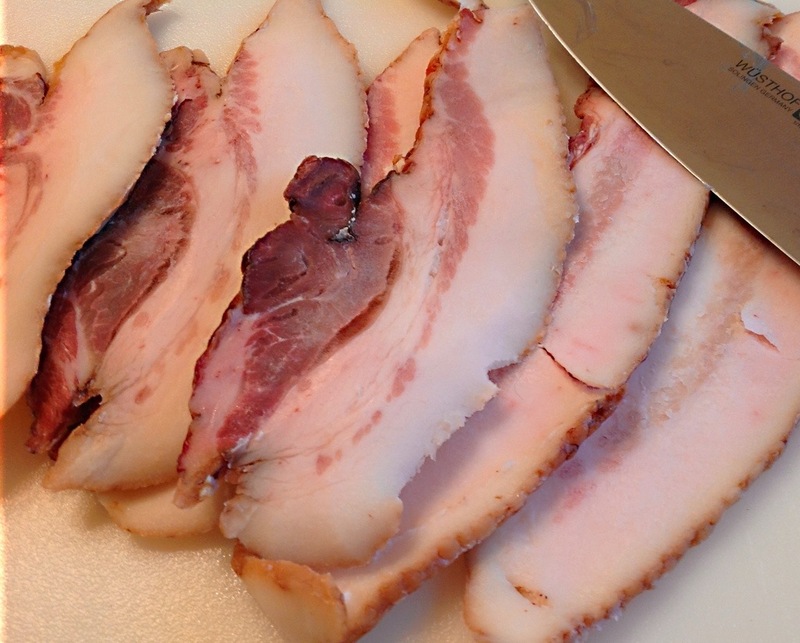 Cut bacon into chunks and add to the pot. Cook until most of the fat has been rendered from the pork (about 10 minutes). Add greens to the pot and toss to coat with the bacon fat. Add 2 cups of water. Cover pot and simmer, stirring often, for about an hour. After an hour, check the greens and the water, adding more if needed. Do not let the greens scorch. Continue simmering for at least another hour, stirring every 15 minutes or so. Greens are ready when they are tender and well seasoned with the pork. Serve with vinegar and hot sauce, if you like. Put peas in a large pot with water to cover and bring to a boil over high heat. Boil for 1 minute. Cover and remove from heat. Let pot sit for 1 hour. Drain peas. Add peas and 4 c. water or chicken stock to the pot and return to medium heat. Add ham hock or other pork product at this time. Simmer peas for about an hour. Watch to make sure liquid does not dry out. If it does, add more water or stock as needed. Add tomato and pepper and continue simmering for about 30 minutes more. Let most of the liquid evaporate. This should be the consistency of a thick chili, not a soup. Add rice, stir and serve.